Jackson is a 6 yr old, 16.2 1/2h, unraced TB gelding. He was started as a four year old and has been fox hunted all fall/winter as well as been in a professional hunter/jumper program. He is quiet, easy to work with, and very trainable. Jackson is already very brave to the jumps and shows a lot of natural ability and scope. He will make a very nice project for someone looking to bring along an athletic, all around horse. 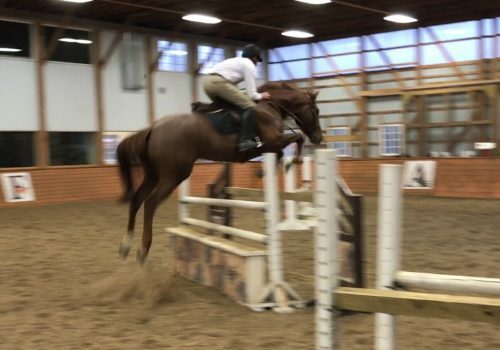 He jumps 3’6-4ft courses in the ring and has started training cross country as well.